Moving to this site has provided many advantages, not least being it provides a more mobile centric format and easier update process for new material. 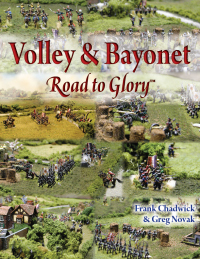 Part of the move included progressively updating the many scenarios and other supporting Volley & Bayonet material to this new format. As you can imagine this is a time consuming process. This has been further balanced by my desire to add new material. Unfortunately, my Internet service provider recently announced they are retiring the infrastructure that hosted the original Volley & Bayonet Pages. This infrastructure is expected to be retired today. That means that old material, still on the old site and which I have not updated yet and simply linked to, will be off-line. I will now need to reformat old material more quickly than originally planned. I will make periodic updates here as scenarios once again become available. I hope you can be patient while this process occurs. Of course the material and scenarios that I have already migrated remain available. Thanks for doing all this. Fortunately they let you know. Sometimes these things just disappear.